As you all know by now, “Black Ink” stars Ceaser and Dutchess have called it quits. Cease (short for Ceasar) gave us his side of the story and now Dutch is sharing her side with TheYBF.com. 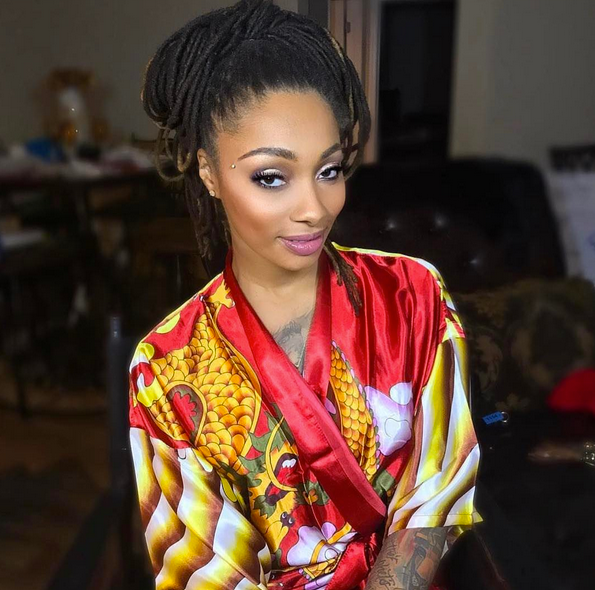 In a candid phone conversation, Dutchess told us that she and Cease officially broke up in October 2016. After reaching a breaking point, she gave him an ultimatum: They could leave the TV ish alone and live happily ever after OR continue to star on “Black Ink” and call it quits. Apparently, Cease chose the TV life and that’s when she said she was done. She said she loves Cease and always will, but she was in a very miserable situation. The hate she constantly received from her fiancé’s friends started to make her hate herself and that wasn’t healthy. Dutchess lost herself in the relationship and said she started hating herself. She felt had she stayed in the relationship, she would have ended up doing something to herself. It got so bad, she stopped tattooing for a while. Eventually, she realized the “hate” she received from Cease’s friends had nothing to do with her. She dished to us that she's grateful for the relationship. She wants him to be happy enough where he doesn’t have to degrade and belittle her in the media and on social media. So, is she ready to jump back in the dating pool? It’s rumored that Dutchess is now coupled up with Carolina Panthers cornerback Zack Sanchez after she was spotted getting cozy with him during an Instagram Live video. Hmm...maybe she really is done for good this time. PREVIOUS: EXCLUSIVE: Kofi Siriboe Is Definitely Single! But, Is He Mingling Though? !